A fruitful and balanced cooperation with clients is the dream of every designer. However, to bring this dream to reality, designers constantly need to prepare for the various challenges that different clients tend to bring. But what can you do to generally improve the collaboration with your clients and, on a long-term basis, foster stable relationships in which both parties are actually pulling in the same direction? This eBook covers both the designer’s and the entrepreneur’s point of view, and it's sure to provide you with valuable advice that you can easily incorporate into your own workflow when working with your clients. 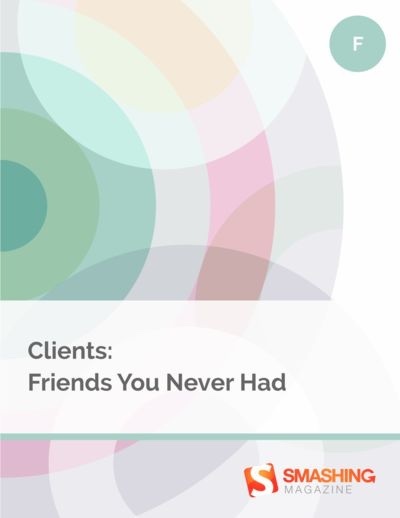 From structuring meetings to managing dissent and staying connected even after the project has ended, the authors of this eBook cover a variety of aspects to consider before, during and after a project. As you will see, it’s the small things that make a big difference.